In 2009, Preye came up with this very simple and soul lifting single “EBEZINA”. This song has so far blessed so many lives and comforted many souls. He finally released his first ever album after much demand from fans and the public “MY SCRIPT” in 2012, which was followed by the virtual of EBEZINA as directed by Akin Alabi in 2013 and then released in 2014. 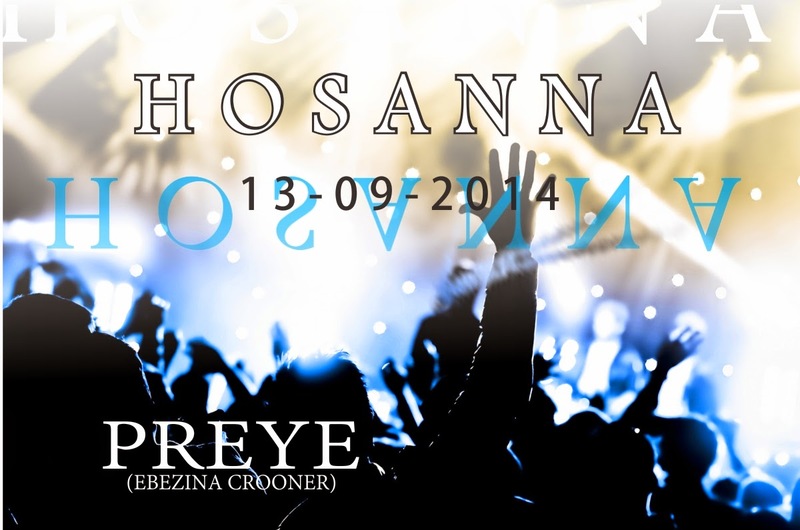 Preye, the Port Harcourt based 2014 Crystal awards best new artiste of the year winner and multi award winning gospel sensation is here with another Spirit filled worship song titled “HOSANNA” produced by Dr. Neza of Eezee production.